No time to squeeze in a mani? Don't sweat it. With Manicube, you can fit a manicure into your workday! We enjoyed speedy but thorough manicures from the Manicube ladies and loved seeing some pampering scheduled into our calendars. The biggest fan? 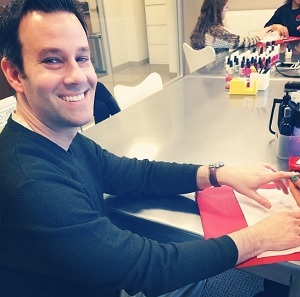 That's Matt, our CMO - first manicure ever and we're pretty sure he's hooked.